5 Packs of our 20 ct wipes. Dermatologically tested & fragrance free, our ultra thick and sensitive wipes simply get the job done! A soothing blend of purified water, natural soybean amino acid, organic aloe vera extract & natural vitamin E extract safely cleanse and care for your baby's sensitive skin while helping to protect against irritations and rashes. They are Vegan as well as Cruelty, Paraben, Alcohol, and Oil Free. 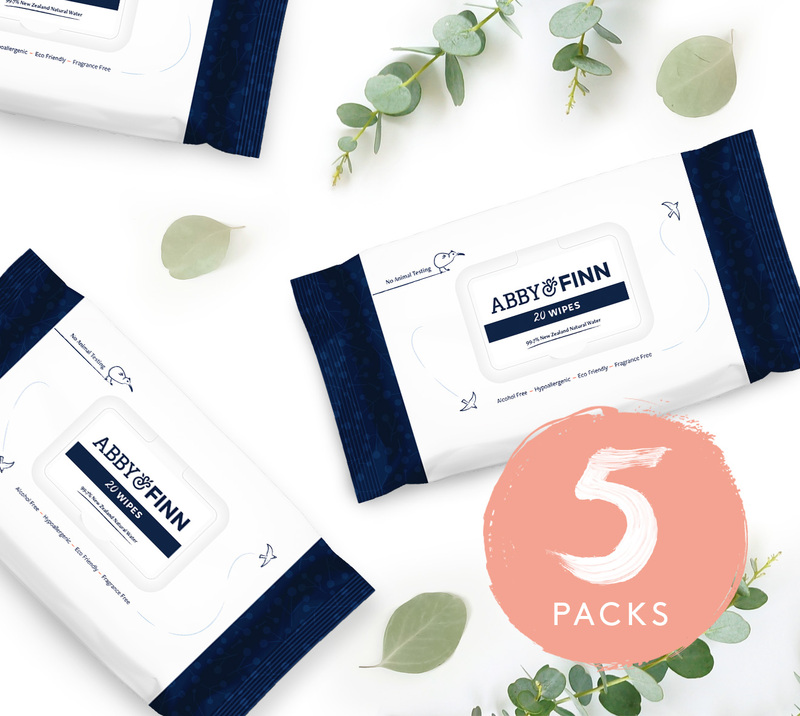 Dermatologically tested & fragrance free, our ultra thick and sensitive wipes simply get the job done! A soothing blend of purified water, natural soybean amino acid, organic aloe vera extract & natural vitamin E extract safely cleanse and care for your baby's sensitive skin while helping to protect against irritations and rashes. They are Vegan as well as Cruelty free, Paraben, Alcohol, and Oil Free.